Please call for pricing and availability...651-361-8500. Designed for heavy traffic, disease resistance in athletic fields. This mix is also an aggressive mix that is designed for quick recovery. Available in 25lb and 50lb bags. Designed for overseeding high traffic, drought tolerant areas with good disease resistance. Available in 25lb and 50 lb bags. Ideal for overseeding during late summer or spring months. Works best with infrequent shade to full sun. 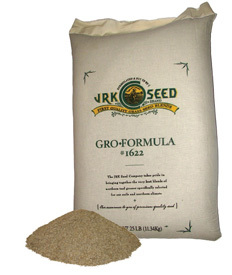 Available in 25lb and 50lb cloth bags. Designed for areas that receive heavy foot traffic which contains half Bluegrass and half Ryegrass. Designed for areas that receive excessive traffic, like an athletic field, that also has disease resistance and heat tolerance.